What bricks are these please? Oh the dust!!! Im so tempted to dust the frame before the internal walls go up.. There were so many things I didnt even think about, different windows, cabinetry etc... just rushed to get it signed off. Is it bad that I think I love your house more than mine????? The summary of action from last week. Some more action on the block. Frames were delivered Wednesday 20th, and started doing up the day after. Roof framing due to be finished this week. Fingers crossed they start framing soon.... Im so sick of waiting!!! Does your concierge's name start with an I? 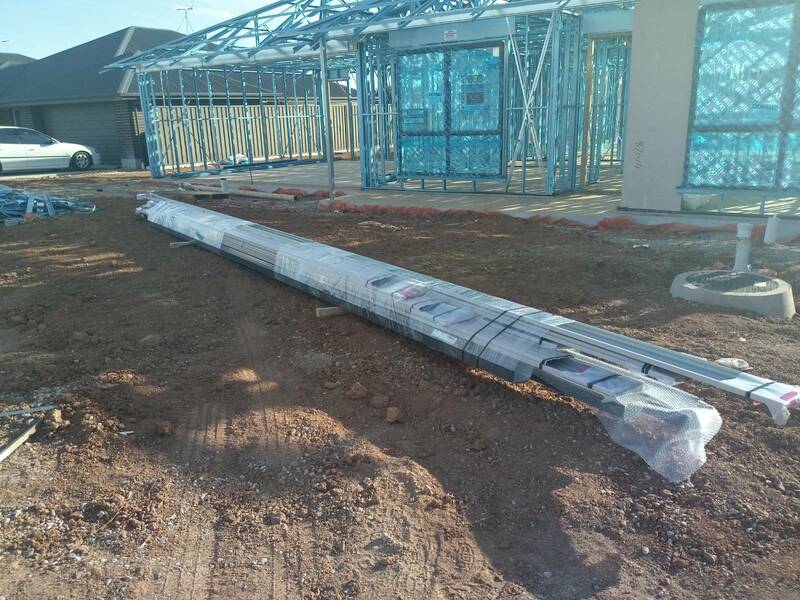 How long did you wait between slab and frame? We are building with Format. Paperwork stage was 10 months due to a useless 'Project Concierge' and useless council (god their new ad really pisses me off). That will finish it off nicely. I love the cabinetry colour btw! What are they doing under that beautiful window? Our panel lifts, 2 single doors, 1988 and two remotes 1334 (owch). 280 for the 'timber coat' colour. There was another timber look brand that was a lot more expensive. How far along in the process are you? I fpund our sales guy (Ian at Virginia) very open amd honest when it came to inclusions. We finally have some action! Soil delivered on 21/2 and trenches started 25/2. Went out for a visit last night, and watched our portaloo get delivered! Im building with Format, we signed contracts in early June 2018, and will hopefully start site works this week. Where is the skylight located?